, Sacrifice Bottle of Suleiman: Flip a coin. 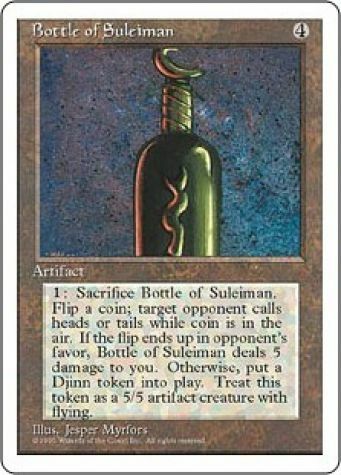 If you lose the flip, Bottle of Suleiman deals 5 damage to you. 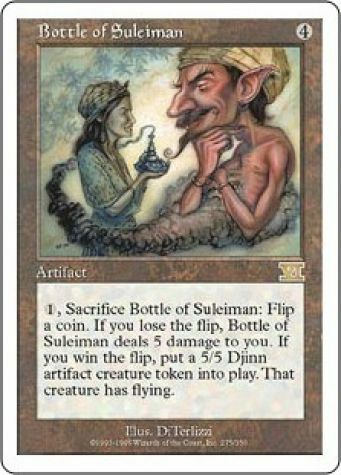 If you win the flip, put a 5/5 colorless Djinn artifact creature token with flying onto the battlefield.